Thomas Østerlie leads the SIRIUS research program on Industrial Digital Transformation. He is a research scientist at the Department of Computer Science. He holds a PhD in information systems from NTNU from 2009 and has 10 years of experience as software professional. He specializes in doing empirical research in close collaboration with industry. 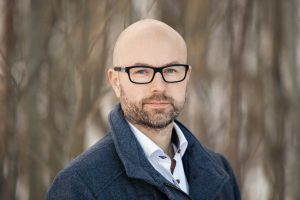 Østerlie has worked extensively with the oil and gas industry since 2009 and has previously led strategic initiatives on innovation in organizations at NTNU Social Research.